Axium Infrastructure is led by a highly-qualified team of infrastructure investment specialists with decades of combined experience acquiring, developing, financing, operating and managing infrastructure assets. The management team is comprised of individuals with diverse backgrounds benefiting from a combination of strategic, technical, financial, legal and operational expertise. 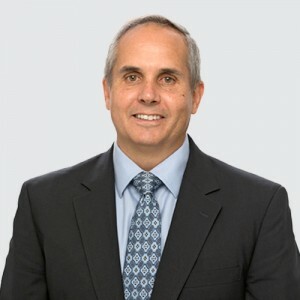 Pierre Anctil has more than 30 years of experience in public and private sectors and as an executive in infrastructure investment and engineering. As co-founder and CEO of Axium Infrastructure, Pierre leads a team that has invested over a period of nearly 10 years near 3 billion Canadian dollars in a diversified portfolio of high-quality infrastructure assets. 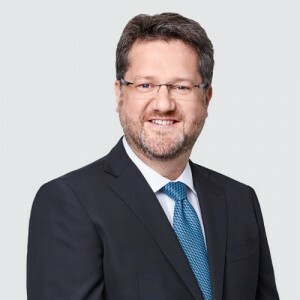 Pierre previously served as executive vice president and member of the office of the president of SNC-Lavalin Group, holding corporate responsibility for investment activities of the firm’s infrastructure division, including PPP projects. Pierre is chairman of the board of the Montréal Heart Institute and member of the board of Fondation de Polytechnique. Throughout his career, he has served as a member of various boards of directors, most notably he was a member of the board of directors of Gaz Métro from 2004 to 2015. He was also a member of the board of directors of the Laurentian Bank of Canada, Altalink and 407 International where he served as Chairman of the Executive Committee until June 2008. Pierre holds a Bachelor of Mechanical Engineering from Polytechnique Montréal, and an MBA from HEC Montréal. 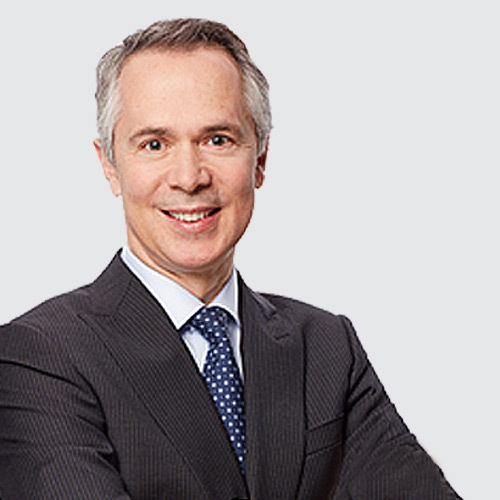 Stéphane has more than 25 years of experience in infrastructure principal investing, corporate and project finance, asset management and external auditing. In 1999, Stéphane was named vice president of SNC-Lavalin’s Investment division where he was responsible for the evaluation, negotiation and management of investments in infrastructure and public-private partnership projects. Throughout his career, he has served as a member of various boards of directors, notably the boards of Astoria Project Partners and Altalink. In addition, he served as president of Murraylink Transmission Company Pty Ltd. in Australia, a 50/50 partnership between SNC-Lavalin and Hydro-Québec. 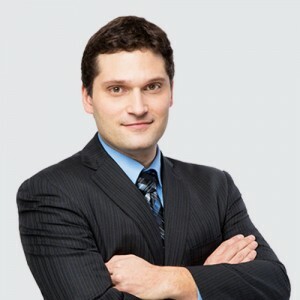 Stéphane is a CPA, CGA and holds a Bachelor’s degree in Business Administration with a major in Public Accounting from Université de Sherbrooke. Based in the firm’s Montreal office, Jean Eric serves as general counsel of Axium Infrastructure and holds primary responsibility for the firm’s Canadian legal affairs, fund formation and deal structuring. Jean Eric joined Axium Infrastructure in 2016 and he has more than 20 years of experience as a lawyer mainly in the field of infrastructure projects (investment, construction and operation), corporate and business law, M&A involving private and public companies, claims and litigation, as well as ethics and compliance-related legal matters; all of which on a national and international scale. 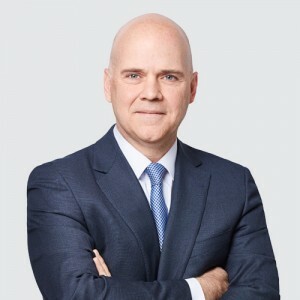 Prior to joining Axium Infrastructure and between 2000 and 2016, Jean Eric served in various roles at SNC-Lavalin starting as legal counsel and culminating as senior vice president of Legal Affairs between 2012 and 2016. 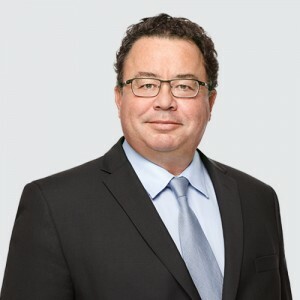 At SNC-Lavalin, Jean Eric’s responsibilities involved providing strategic and legal advice, as well as managing a team of legal professionals who provided legal advice and support, to all sectors and corporate functions within the organization. Jean Eric holds a bachelor of law (LL.B) from University of Sherbrooke and is a member of the Barreau du Québec since 1993. Based in the firm’s Montreal office, Anick holds primary responsibility for the firm’s financial affairs including all finance and accounting activities for its investments and its managed funds. Anick joined Axium Infrastructure in 2010 and has over 20 years of experience as a chartered accountant, including 12 years working in private venture capital funds and fund of funds. Prior to joining Axium, Anick assumed the position of vice president Finance for Teralys Capital, a major venture capital fund of funds. Between 2005 and 2009, Anick worked with Multiple Capital as director of Finance and subsequently as vice president Finance to manage a secondary fund of Coller Capital where she gained experience in finance and investment accounting. 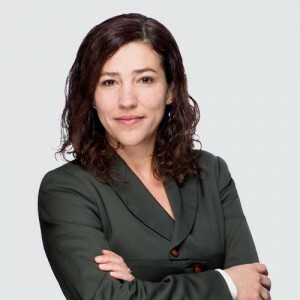 Anick also worked as controller at Innovatech du Grand Montréal where she acquired valuable knowledge developing strong processes for controlling, monitoring and evaluating investments and divestments. Anick began her career at Samson Belair Deloitte & Touche in 1997 where she worked in the audit department. Anick holds a Bachelor’s degree in Administration from Université de Sherbrooke and is a chartered professional accountant (CPA, CA). Based in the firm’s Montreal office, Dominic serves as a senior member of the management team and is primarily responsible for the firm’s asset management, as well as transaction origination, due diligence and execution. Dominic joined Axium Infrastructure in 2009 and has 20 years of experience in infrastructure principal investing, asset management and project management. As a mechanical engineer, Dominic began his career working as a project manager for a leading HVAC manufacturer (Trane) where he managed relationships with large Canadian corporations and delivered large turn-key projects. Dominic later moved on to join Macquarie Capital Funds’ asset management group where he maintained asset management responsibility for transportation assets. He was active in the development of risk management plans, recruitment of management staff, performance monitoring, reporting and valuation functions, and negotiation of amendments to contractual terms. Dominic is an engineering and finance professional holding an MBA from HEC Montréal and a bachelor’s degree in mechanical engineering from Polytechnique Montréal. He is also a member of the Ordre des ingénieurs du Québec. Based in the firm’s Montreal office, Cyrille serves as a senior member of the management team and is primarily responsible for transaction origination, due diligence and execution. Cyrille joined Axium Infrastructure in 2017 and has more than 25 years of experience in the investment field, for both projects or companies, in different sectors such as infrastructure, resources, and financial services. From 2006 to 2014, he was a member of the executive committee of the Private Equity Group of Caisse de Dépôt et Placement du Québec, one of the largest pension fund managers in Canada, where he led a team of investment professionals managing a portfolio averaging $2.5 billion. From 1997 to 2000, he was Vice-President Finance at Boralex Inc. Throughout his career, he served as a member on various boards of directors of North American companies, both private and public, including those of Canadian Hydro Developers, Innergex Renewable Energy and Gaz Métro. Cyrille is a CFA and holds a Bachelor’s degree in Business Administration from Université de Sherbrooke. Based in the firm’s Montreal office, Anne-Sophie holds primary responsibility for fund raising, fund reporting presentation and investor relations. 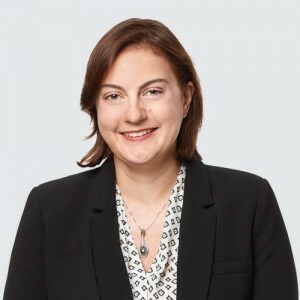 Anne-Sophie joined Axium Infrastructure in 2014 and has more than 15 years of experience working in a broad range of functional areas including strategy, M&A, corporate planning, treasury and investor relations. 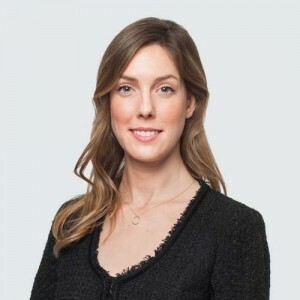 Prior to joining Axium, Anne-Sophie worked as treasurer and director Corporate Finance and Investor Relations at Yellow Media Inc. As part of her role, she was in charge of managing the relationship and communications with capital market participants. Anne-Sophie was also involved in pension plan management and corporate planning. Previously, she was director Corporate Finance at Telesystem International Wireless Inc. where she was involved in financial and operational performance monitoring of international operations, the oversight of budgeting and planning process as well as investor relations. Anne-Sophie holds a Bachelor of Business Administration degree from HEC Montréal where she specialized in finance and an MBA from Laval University. 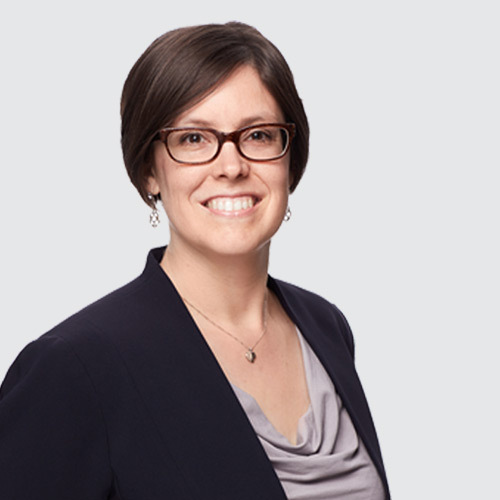 Based in the firm’s Montreal office, Julie is part of the Legal team and is primarily responsible for supporting the Canadian and US Investment teams, and the Asset Management Team throughout the projects’ life cycle. Julie joined Axium in 2017 and has more than 15 years of experience as a lawyer mainly in the fields of commercial and corporate law, M&A and infrastructure projects. 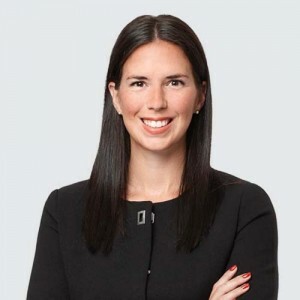 Prior to joining Axium, Julie was head of Legal Affairs at EDF EN Canada where she was overseeing and advising on legal and regulatory aspects of a portfolio of development and operational wind projects, as well as in relation to complex M&A, divestiture and financing transactions. Julie also served as senior legal counsel at McKesson Canada and at GLV Inc., as well as advisor Regulatory Affairs at Hydro-Québec. She began her career in private practice as a commercial lawyer. Julie holds a bachelor of law (LL.B) from University of Montreal and an MBA from University of Sherbrooke. She has been a member of the Barreau du Québec since 2000. Based in the firm’s Montreal office, Alexandre serves as a member of the management team and is primarily responsible for transaction origination, due diligence and execution. Alexandre joined Axium Infrastructure in 2014 and has 8 years of experience in energy mergers & acquisitions, power generation project finance and industrial operations management. Prior to joining Axium, Alexandre worked in J.P. Morgan’s Energy Investment Banking group in New York. In this role, he was involved in a broad range of M&A and financing assignments in the Power & Utilities space, with a focus on power generation transactions in the United States and Canada. Alexandre began his career at Shell Canada in Montreal, where he worked as an operation engineer responsible for optimizing the performance of petrochemical production units. Alexandre holds a Bachelor of Chemical Engineering from Polytechnique Montréal and an MBA from Cornell University. He is also a member of the Ordre des ingénieurs du Québec. 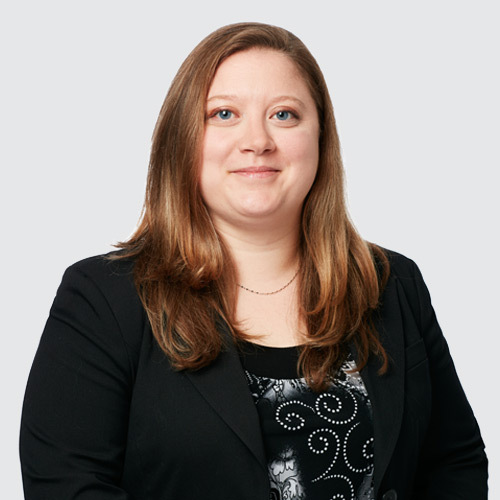 Based in the firm’s Montreal office, Suzanne is a member of the asset management team and she is primarily responsible for the firm’s engineering and construction oversight functions, and also manages the firm’s ESG concerns. Suzanne joined Axium Infrastructure in 2011 and has 30 years of experience in the design, construction and project management of infrastructure projects. She also has extensive experience with EPCM mandates, as well as turnkey projects. 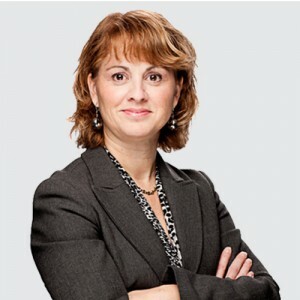 When she joined Axium, Suzanne took charge of the engineering and construction of the Montreal University Hospital Research Center, a PPP project delivered with success in September 2013. Subsequently, she worked on the Sorel Tracy Detention Centre, another PPP project delivered in August 2016. Prior to joining Axium, Suzanne spent more than 20 years with SNC-Lavalin working as a senior member in various capacities within their Hydropower Group. As vice president Operations she oversaw the operations of a 250-employee division in Canada, as well as a design office in India staffed with more than 100 employees. Suzanne holds a Bachelor of Engineering (B. Eng) in Mechanical Engineering from Polytechnique Montréal. Based in the firm’s Montreal office, Jean-François is a member of the asset management team and he is primarily responsible for the supervision of projects under construction and asset management. 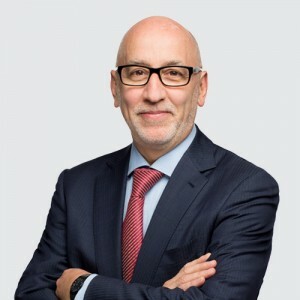 Jean-François joined Axium Infrastructure in 2012 and has more than 35 years of experience in the management of multidisciplinary teams and large-scale logistics. Since he has joined Axium, Jean-François has been primarily responsible for the delivery and operation of the Montreal University Hospital Research Center and the Train Maintenance Centre of the Réseau de transport métropolitain (a Québec governement agency coordinating public transportation services across the Montreal region). 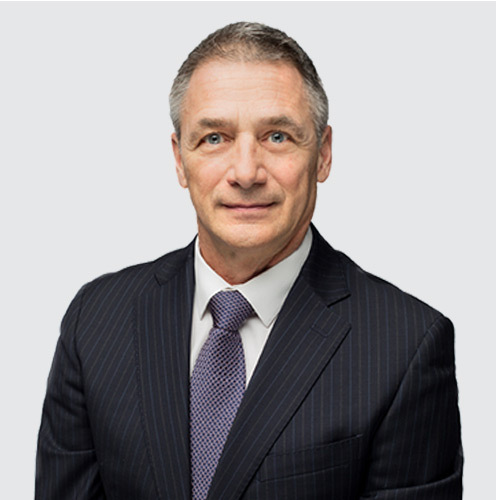 Prior to joining Axium, Jean-François spent more than 25 years with Bell Canada and SNC-Lavalin in multiple senior engineering and management positions. At Bell, he was first in charge of the firm’s real estate operations, logistics, and fleet management. Then, within the procurement department, he took care of numerous strategic outsourcing projects, especially with regards to planning and contractual performance. At SNC, as vice president/managing director, Operation and Real Estate, Jean-François was responsible for the real estate portfolio management of several Canadian clients and supported the firm’s PPP initiatives in the real estate sector. Jean-François holds a Bachelor of Engineering (B. Eng) in Civil Engineering from Polytechnique Montréal. 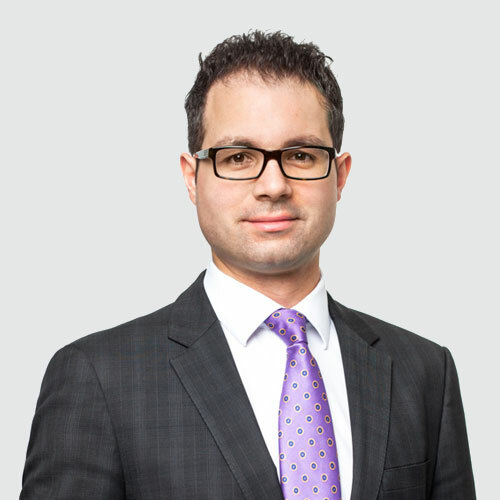 Based in the firm’s Montreal office, Jonathan is a member of the asset management team and he is primarily responsible for the supervision of construction projects and asset management. Jonathan joined Axium Infrastructure in 2013 and has more than 20 years of experience in accounting, corporate finance and mergers and acquisitions. He most recently served as Vice President Finance for the firm’s first portfolio investment - the Montreal University Hospital Research Center PPP project. Previously, Jonathan was CFO of a private-equity backed telecommunications start-up focused on acquiring, building and maintaining cellular sites. He also served as vice president Finance of an independent video game developer with international operations. His prior experience also includes working in the corporate finance team at Yellow Pages Group, Quebecor World as well as corporate finance advisory at Arthur Andersen. Jonathan is a chartered professional accountant (CPA, CMA) and a chartered financial analyst (CFA), and also holds a bachelor of commerce with a major in urban land economics from the University of British Columbia. 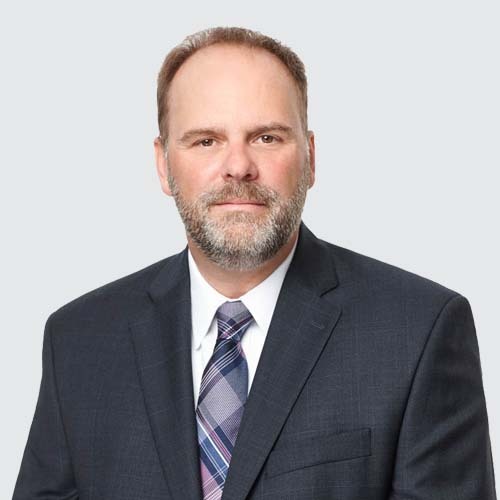 Based in the firm’s Montreal office, Eric is a member of the asset management team and he is primarily responsible for the supervision of construction projects and asset management. Eric joined Axium Infrastructure in 2017 and has 25 years of experience in building technologies and energy efficiency. Prior to joining Axium, Eric led all commercial and operational activities of Johnson Control at their Québec office. Throughout his career, Eric led various business units at both Trane and Johnson Controls in the construction, operation, maintenance, and performance contracting sectors. Eric holds a Bachelor’s degree in Mechanical Engineering from McGill University, an MBA from HEC Montréal, and is a member of the Ordre des ingénieurs du Québec. Based in the firm’s Montreal office, Romy is primarily responsible for the accounting activities of the firm’s managed funds in the United States. Romy joined Axium Infrastructure in 2017 and has approximately 5 years of audit experience. Before joining Axium, Romy began her career at KPMG as an auditor working with public and private clients in the financial services and energy sectors. Since 2014, Romy has been involved in the CPA program of HEC Montreal where she marks exams and cases, and provides tutoring sessions to future candidates. Romy is a chartered professional accountant (CPA, CA) and holds a Bachelor’s degree in Business Administration from HEC Montreal with a double major in accounting and finance. 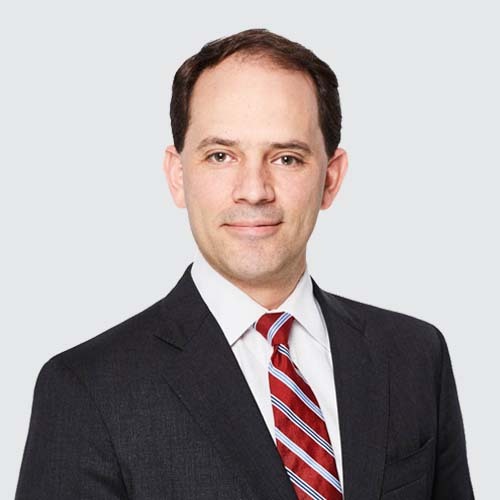 Based in the firm’s Montreal office, Jonathan is primarily responsible for the accounting activities of the funds’ investments in Canada and the United States. Jonathan joined Axium Infrastructure in 2014 and has more than 10 years of experience in accounting and finance. Before joining Axium, Jonathan provided accounting and fiscal services to a variety of clients. Jonathan began his career as a specialist in investment administration at Standard Life where he was responsible for the coordination and review of accounting processes. Jonathan is a chartered professional accountant (CPA, CGA) and holds a Bachelor of Accounting Science from Université du Québec à Montréal. 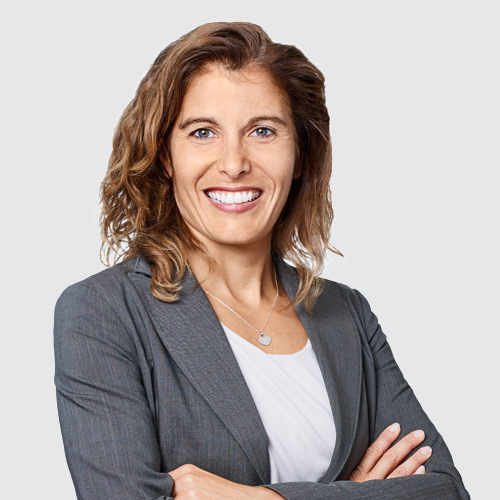 Based in the firm’s Montreal office, Christiane holds primary responsibility for tax matters related to the investors or the firm’s managed funds. Christiane joined Axium Infrastructure in 2014 and has 15 years of experience in external audit and international corporate tax, including tax planning, transaction tax, tax compliance, finance and accounting. Prior to joining Axium, Christiane led the tax function related to the Private Equity and Infrastructure investments at Caisse de dépôt et placement du Québec where she managed and oversaw the entire tax function from a tax compliance, reporting and planning perspective. Christiane began her career in the audit department of Ernst & Young in Montréal and later transferred to the department of International Business Tax Services where she specialized in U.S. Corporate Tax. Christiane holds a Bachelor of Commerce degree from Concordia University and a Master of Science in Accountancy degree from the University of Notre Dame, Indiana. 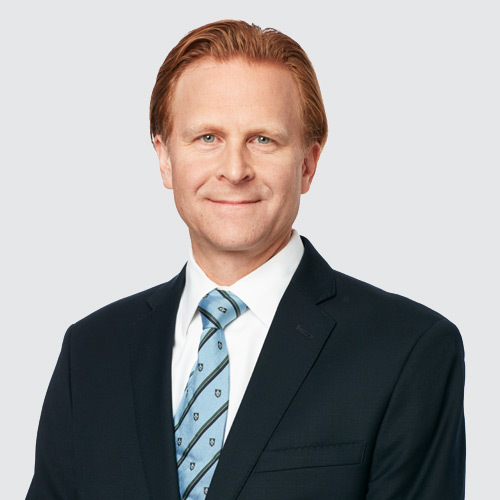 Based in the firm’s Montreal office, Andy is primarily responsible for the accounting activities of the funds’ investments in Canada and the United States. Andy joined Axium Infrastructure in 2012 and has 12 years of experience in Accounting and Finance. Prior to joining Axium, Andy was a Chief Accountant at PT Healthcare Solutions where he was mainly responsible of the financial reporting of the consolidated financial statements. During his service at PT Health, he participated in various acquisition transactions and performed due diligence work. Andy began his career as an auditor with Horwath Leebosh Appel (subsequently merged with Meyers Norris Penny) where he provided audit and tax services to clients in various sectors. 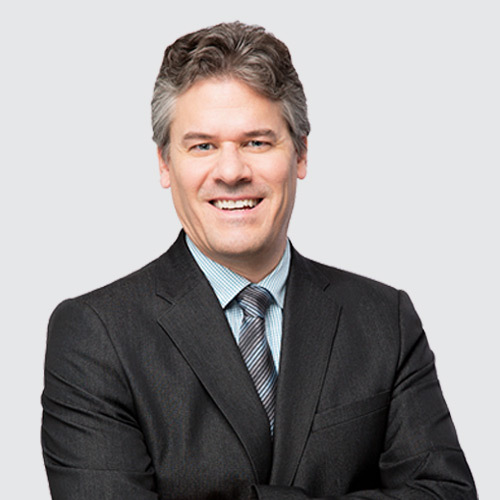 Andy is a chartered professional accountant (CPA, CA) and holds a bachelor’s degree in Commerce from John Molson School of Business at Concordia University. Based in the firm’s Montreal office, Catherine is a member of the investment team and she is primarily responsible for supporting transaction due diligence and execution, with a focus on financial modeling, project valuation and analytics, as well as asset valuation. 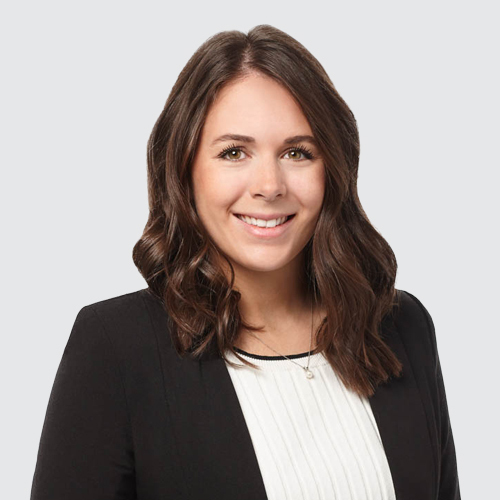 Prior to joining Axium Infrastructure in 2018, Catherine worked in Ernst & Young’s Transaction Advisory Services group in Montreal. As part of their Project Finance and Infrastructure Advisory team, she provided services to clients in both the private and public sectors on issues relating to infrastructure and real estate projects. Catherine was also involved in mergers & acquisitions and capital raise mandates in various industries. Catherine began her career in 2014 at Ernst & Young in Montreal where she provided audit services mainly for asset management clients. Catherine is a chartered professional accountant (CPA, CA) and holds a Bachelor of Business Administration with a Citation of Excellence, and a Master of Science in Administration (M.Sc. ), both from HEC Montreal. Based in the firm’s Montreal office, Caroline is primarily responsible for the accounting activities of the funds’ investments in Canada and the United States. Caroline joined Axium Infrastructure in 2013 and has worked for over 20 years in the field of auditing, administration and finance. Prior to joining Axium, Caroline has acted as a consultant and has provided accounting services to a varied clientele. Previously, she worked as Director of Consulting Services at Standard Life Investments Funds where she planned and coordinated major initiatives of consulting services to financial planners. She was also chief accountant at SITQ Immobilier where she was responsible for producing and analyzing financial statements and budgets. Caroline began her career as an auditor and cumulated nearly 10 years of experience working at Raymond Chabot Grant Thornton and Deloitte’s accounting firms. Caroline is a chartered professional accountant (CPA, CA) and holds a Bachelor’s degree in Accounting from Université du Québec in Trois-Rivières. Based in the firm’s Montreal office, Jean-Daniel is a member of the asset management team and his technical expertise contributes to the due diligence process and to the optimization of the assets in operation’s performance. Jean-Daniel joined Axium Infrastructure in 2013 and has 15 years of experience in design, development, acquisition, performance optimization, and asset management of wind and solar power plants. Prior to joining Axium, Jean-Daniel worked with the German wind turbine manufacturer REpower Systems where he led the sales and project engineering team and the turbine site suitability assessment team for North America. Previously he worked as a consultant with GL Garrad Hassan (DNV-GL) where as wind farm specialist he designed and developed numerous projects. He later led the asset diagnostics and performance optimization department offering services for operating assets. Jean-Daniel holds a bachelor’s degree in electrical engineering from Université de Sherbrooke, a Master’s degree in mechanical engineering specializing in wind power from the École de technologie supérieure (ÉTS), and an executive MBA from the École des sciences et de la gestion (ESG UQAM). Based in the firm’s Montreal office, Josée holds primary responsibility for tax matters related to the investment projects and assets under management. 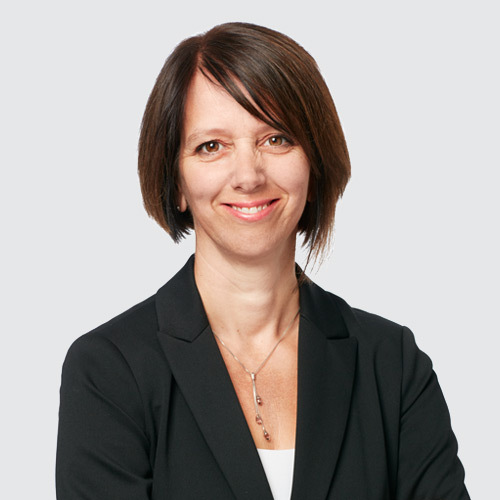 Josée joined Axium Infrastructure in 2016 and has over 20 years of experience in international taxation, including tax planning, project structuring, transfer pricing, international audit management, transactions and compliance tax. Prior to joining Axium, Josée served as director, International Tax for Bombardier Transportation where she managed and oversaw the tax aspects applicable on Canadian and international projects, tax compliance, transfer pricing and international audit. She was also assistant manager, International Tax with SNC-Lavalin where she was responsible for the tax structuring of international projects. Josée began her career in the audit department of Arthur Andersen Montréal and later transferred to the tax department where she specialized in expatriate taxation and Canadian & U.S. Corporate Tax. Josée is a chartered professional accountant (CPA, CA) and holds a Bachelor’s degree in Administration from Université Laval. Based in the firm’s Montreal office, Charles is primarily responsible for the accounting activities of the funds’ investments in Canada and the United States. Charles joined Axium Infrastructure in 2014 and has more than 20 years of experience in financial reporting, internal control and compliance. 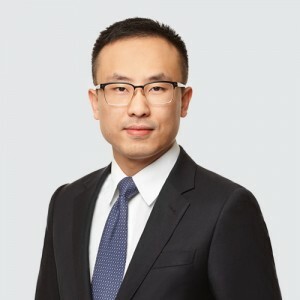 Before joining Axium, Charles was Senior Manager, financial analysis and controls at CIBC Global Asset Management Group of subsidiaries where he was responsible for the preparation of financial statements and other financial reports filed with regulators. He was also involved in acquisitions. He was also Manager, Controls at SNC-Lavalin. Charles began his career at Deloitte where he was responsible for performing audits and consulting mandates. Charles is a Chartered Professional Accountant (CPA, CA) and holds a Bachelor of Business Administration from the Co-operative Education program of the Université de Sherbrooke. Mélanie Payette has over 10 years of experience in administration and human resources management. Before joining Axium Infrastructure in September 2014, Mélanie served as Operations and Administration Manager for a recruitment firm. Her responsibilities included the management of human resources, information technology, accounting, supplies and communications. 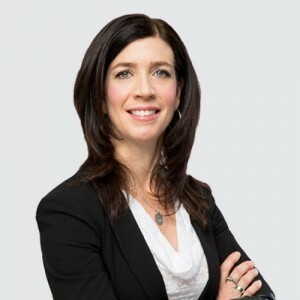 Mélanie began her career as a recruitment advisor at the law firm Heenan Blaikie where she eventually held the position of human resources management generalist. Mélanie is a Certified Human Resources Professional (CHRP) and holds a Bachelor of Business Administration degree from the Université du Québec à Montréal. 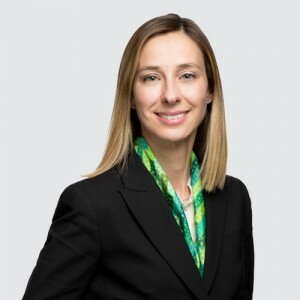 Based in the firm’s Montreal office, Nathalie is primarily responsible for the accounting activities of the firm’s managed funds and their managers. Nathalie joined Axium Infrastructure in 2014 and has more than 20 years of experience in accounting and administration. 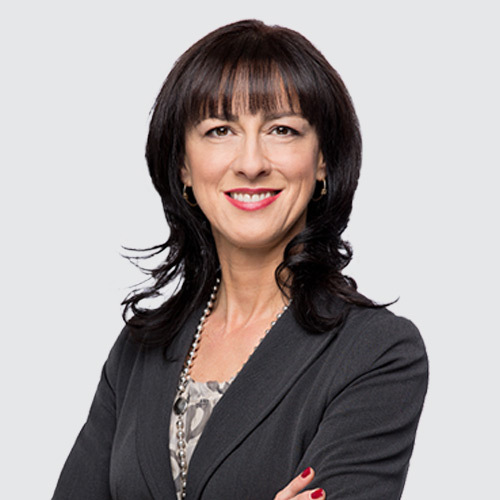 Prior to joining Axium, Nathalie worked as an accounting specialist at SITQ (a subsidiary of Caisse de dépôt et placement du Québec) for a number of years where she was responsible for preparing financial statements and performing budgetary monitoring, as well as the external audit of the firm’s European portfolio. Her role also included the responsibility of developing an integrated system of consolidated financial statements. Before that, she was controller for an architecture and urbanism firm of over 300 employees. Nathalie began her career as an auditor with Raymond Chabot Grant Thornton. Nathalie is a chartered professional accountant (CPA, CA) and holds a Bachelor of Business Administration from HEC Montréal. Based in the firm’s Montreal office, Yann is a member of the investment team and he is primarily responsible for supporting transaction due diligence and execution, with a focus on financial modeling, project valuation and analytics, as well as asset valuation. Prior to joining Axium Infrastructure in 2018, Yann worked in Deloitte’s Corporate Finance group in Montreal, where he was involved in mergers & acquisitions and capital raise mandates in various industries. Yann holds a Bachelor of Science degree from McGill University and a Bachelor of Commerce degree with a specialization in finance from Concordia University. Based in the firm’s Montreal office, Manon is primarily responsible for the accounting activities of the firm’s managed funds. Manon has joined Axium Infrastructure in 2012 and has over 20 years of experience in administration and finance in growing businesses. Prior to joining Axium, Manon has worked as controller at the National Bank Securities, among others, where she was responsible for preparing the financial statements, budget monitoring, internal audit and external audit required by regulatory organizations. She also occupied a similar position in a manufacturing company. Manon began her career as an auditor at Raymond Chabot Grant Thornton. Chartered professional accountant (CPA, CA), Manon holds a Bachelor’s degree in Business Administration from HEC Montreal. 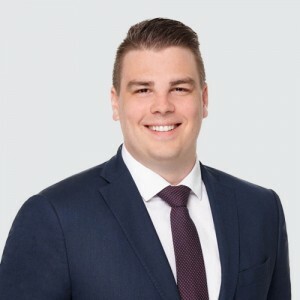 Based in the firm’s Montreal office, Christopher is a member of the of the investment team and he is primarily responsible for supporting transaction due diligence and execution, with a focus on financial modeling, project valuation and analytics, as well as asset valuation. Prior to joining Axium Infrastructure in 2017, Christopher held various intern positions, namely at Caisse de dépôt et placement du Québec where he worked in the corporate fixed income group, then at the ministère du Travail, de l’Emploi et de la Solidarité Sociale and lastly at RBC Capital Markets, as part of the Montreal real estate group. Christopher holds a Bachelor of Commerce with a specialization in finance from McGill University. Based in the firm’s Montreal office, Jessica is a member of the asset management team and she is primarily responsible for supporting transaction due diligence and execution, with a focus on financial modeling, project valuation and analytics, as well as asset valuation. Prior to joining Axium Infrastructure in 2018, Jessica held intern positions, namely at CIBC Capital Markets, where she worked in the global collateral finance group and at Deloitte, as part of their Integration and Separation team under M&A Advisory in Toronto. Jessica began her career in 2011 at CAE, a flight simulator and training company, where she was involved in reviewing and validating flight data and qualification testing of the simulators. At CAE, Jessica managed dozens of flight simulator installations and led a cost-optimizing initiative that resulted in reduced installation times and multi-million dollars of savings. Jessica holds a bachelor of mechanical engineering and an MBA from McGill University. She is also a member of the Ordre des ingénieurs du Québec. Based in the firm’s Montreal office, Joseph is a member of the asset management team and his technical expertise contributes to the optimization of the acquisition and asset management activities. He is also responsible for the supervision of PPP projects under construction. Joseph joined Axium Infrastructure in 2012 and has 15 years of experience in construction and project management. Prior to joining Axium, Joseph worked for the German wind turbine manufacturer Enercon where he was dedicated to the construction of a 1,000 MW pipeline of projects awarded by Hydro-Québec during its 2008 call for tenders. Joseph began his career with a consulting firm managing the development of wind farms throughout Canada, many of which are in operation today. He later joined Enel Green Power (EGP) where he managed the development of a Canadian-based project pipeline, which included both wind and solar energy. While with EGP, Joseph was also involved in several transactions in the North American energy market with responsibility towards reviewing technical, commercial and contractual aspects of the prospects. Joseph holds a bachelor of mechanical engineering from McGill University, a project management certificate from UQAM, and an MBA from HEC Montréal. He is also a member of the Ordre des ingénieurs du Québec. Based in the firm’s Montreal office, Janis is a member of the funds’ valuation and performance team. She is primarily responsible for reviewing all valuations prepared on a quarterly basis and performance analysis of the portfolio including testing sensitivities and changes to assumptions. Prior to joining Axium Infrastructure in 2016, Janis was working for the KPMG Business Valuation Deal Advisory Practice in Montreal, where she was involved in providing valuation advisory services in a wide range of industries and across asset classes, including infrastructure, private equity and real estate. Janis began her career at the Bank of Canada in 2009, where she was involved in financial market research, oversight and forecasting in support of monetary policy decisions. Janis holds a Bachelor of Arts degree with a specialization in Honours Economics from Queen’s University. She also holds a Masters of Finance degree with a concentration in Corporate Finance from HEC Paris. 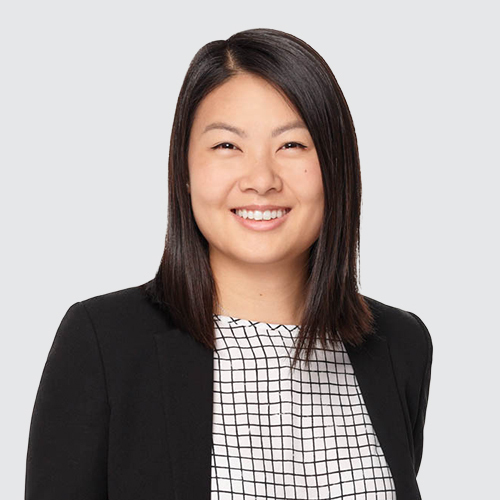 Based in the firm’s Montreal office, Zhen is a member of the investment team and she is primarily responsible for supporting transaction due diligence and execution, with a focus on financial modeling, project valuation and analytics, as well as asset valuation. Prior to joining Axium Infrastructure in 2013, Zhen worked at Quebecor Media’s Corporate Finance group where she was involved in numerous debt financings, in capital structure analysis, in valuing derivative securities and in business valuation modeling. 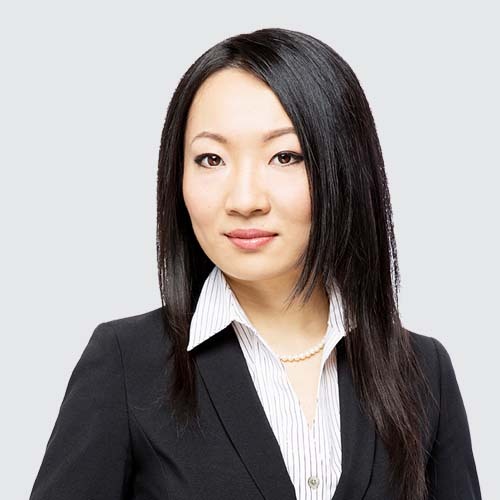 Zhen began her career in 2006 at Deloitte in Montreal where she provided audit services mainly for financial institutions and asset management clients. Zhen holds a Bachelor of Commerce degree from McGill University, and an MBA from HEC Montreal. She is also a Chartered Financial Analyst (CFA) and a Chartered Accountant (CPA, CA). Based in the firm’s Toronto office, Juan serves as a senior member of the management team and is primarily responsible for transaction origination, due diligence and execution. 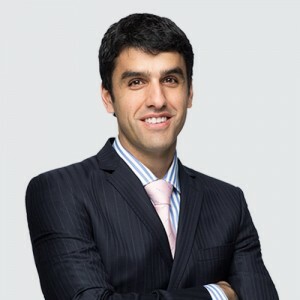 Juan joined Axium Infrastructure in 2009 and has more than 15 years of experience in the areas of infrastructure principal investing, financial advisory and project finance. Juan began his career working as a structural engineer in the design of civil infrastructure and hydroelectric energy projects in South America. Prior to joining Axium Infrastructure, Juan was a member of the infrastructure groups of CIT Financial and Babcock & Brown where he led the bidding and financing of public-private-partnership projects acting in the capacity of financial advisor and equity sponsor. Prior to that, Juan was involved in the financing of several international infrastructure and telecommunication projects as a member of the project finance team at Export Development Canada, and the corporate finance group at TD Securities. His experience includes debt financings for regulated utilities, airports, roads and telecom assets in Canada and overseas. Fluent in English, Spanish and French, Juan holds a civil engineering degree from Los Andes University (Colombia) and an MBA from the University of Toronto’s Rotman School of Management. Based in the firm’s Toronto office, Elio serves as a member of the management team and is primarily responsible for transaction origination, due diligence and execution. Elio joined Axium Infrastructure in 2009 and has 15 years of experience in the areas of infrastructure principal investing, financial advisory and project finance. 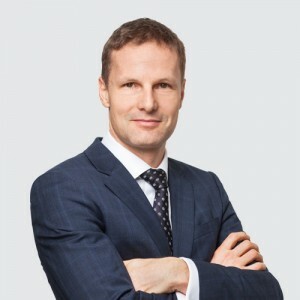 Prior to joining Axium, Elio worked in Babcock & Brown's North American infrastructure group where he was involved in the financing and acquisition of Canadian infrastructure projects. He also worked in the investment banking division of BMO Capital Markets where he was involved in a range of M&A and corporate advisory assignments including public takeover bids and defenses, divestitures and leveraged buyouts. Elio holds an Honours Bachelor of Business Administration degree from York University’s Schulich School of Business where he specialized in finance. Based in the firm’s Toronto office, Tony is a member of the investment team and he is primarily responsible for supporting transaction due diligence and execution, with a focus on financial modeling, project valuation and analytics, as well as asset valuation. Prior to joining Axium Infrastructure in 2017, Tony was working for KPMG where he was involved in providing M&A and valuation advisory services across a broad range of industries. 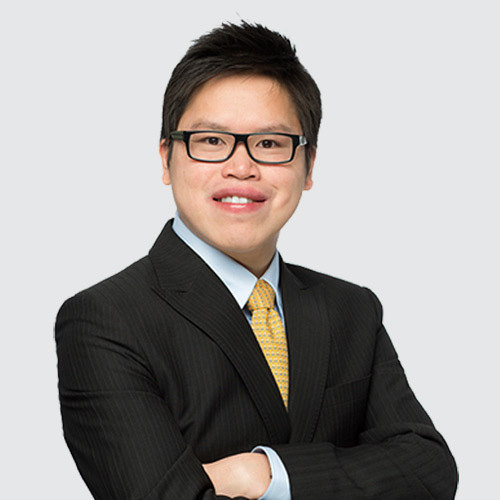 Tony began his career in 2013 at Ernst & Young in Toronto where he provided audit services primarily for clients in the financial services industry. Tony holds a Bachelor of Business Administration degree from York University’s Schulich School of Business. He is a Chartered Professional Accountant (CPA, CA), a CFA Charterholder, and a Chartered Business Valuator (CBV). 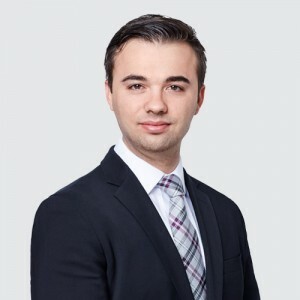 Based in the firm’s Toronto office, Ivan is a member of the investment team and he is primarily responsible for supporting transaction due diligence and execution, with a focus on financial modeling, project valuation and analytics, as well as asset valuation. Prior to joining Axium Infrastructure in 2016, Ivan was working for the KPMG Business Valuations Deal Advisory group in Toronto, where he was involved in providing valuation advisory services across a broad range of industries. 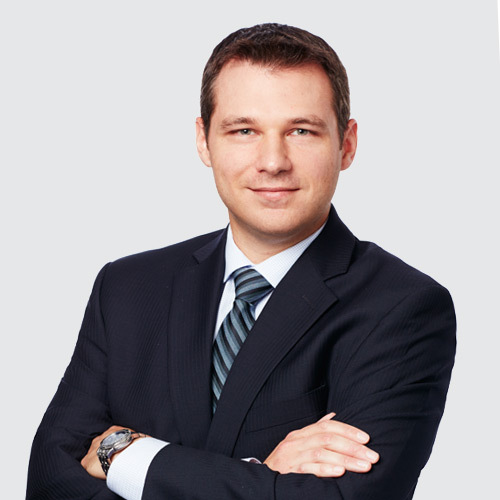 Ivan began his career in 2012 at Deloitte in Toronto where he provided audit services mainly for manufacturing clients. Ivan holds a Bachelor of Management and Organizational Studies degree with a specialization in finance and accounting from the University of Western Ontario. He is also a chartered professional accountant (CPA, CA). Thierry Vandal has more than 30 years of experience in the North American power and utility industry. 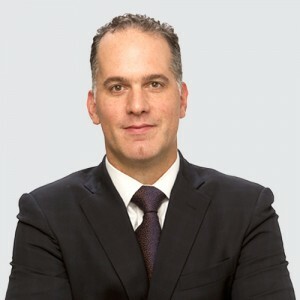 Thierry was the president and CEO of Hydro-Québec, one of North America’s largest power companies, with world class infrastructure EPCM operations, until May 2015. He joined Hydro-Québec in 1996 and served in various capacities until his appointment as president and chief executive officer in 2005. He was previously active in the natural gas infrastructure sector, the petrochemical and the downstream oil industries. Thierry is currently a member of the board of directors of The Royal Bank of Canada (RY: TSX and NYSE) and of TransCanada Corporation (TRP: TSX and NYSE). He is also a member of the International Advisory Board of HEC Montréal (Québec, Canada) and is governor emeritus of McGill University (Montréal, Québec). He is also past chairman of BioFuelNet Canada and of the Conference Board of Canada. Thierry holds a Bachelor of Civil Engineering from Polytechnique Montréal, and an MBA from HEC Montréal. In 2012, he was elected a fellow of the Canadian Academy of Engineering. In 2007, the Université de Montréal awarded him an honorary doctorate to underscore his outstanding professional contribution to the energy sector. In 2012, he received an honorary doctorate from the Institut national des sciences appliqués (INSA) in Lyon, France and was recognized as the Canadian Energy Person of the Year by the Canadian Energy Council. Based in the firm’s New York office, Paulo serves as a senior member of the management team and is primarily responsible for transaction origination, due diligence and execution. Paulo joined Axium Infrastructure in 2012 and has more than 20 years of experience in the areas of financial advisory and infrastructure project finance. Prior to joining Axium Infrastructure, Paulo joined the Energy & Infrastructure Banking team at BNP Paribas in New York, where he executed multiple greenfield project finance transactions for natural gas-fired and renewable energy projects. He was also responsible for the build-out of BNP Paribas’ transportation and PPP platform in the United States and Canada. Paulo began his career in London with Citigroup where he focused on financial advisory, and debt structuring and placement in support of the development of large scale energy and water facilities in Europe and the Middle East. Fluent in English and Spanish, Paulo holds a BA in Political Science and Philosophy from Tufts University, an MA in Development Economics from the Fletcher School, and an MBA from Instituto de Empresa (Madrid, Spain), where he was a Fulbright Scholar. 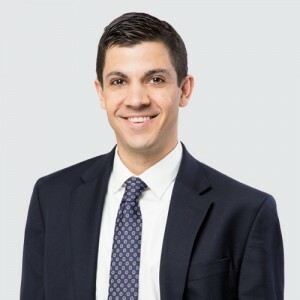 Based in the firm’s New York office, Ben serves as a member of the management team and is primarily responsible for transaction origination, due diligence and execution. Ben joined Axium Infrastructure in 2013 and has 8 years of experience in energy development and project finance. 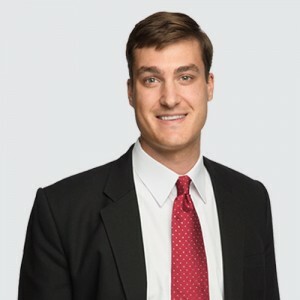 Ben began his career in 2010 at Competitive Power Ventures in Boston, where he supported the development and financing of utility-scale conventional and renewable power generation assets throughout the United States. In 2012, Ben moved to New York to join K Road Power, an IPP focused on utility-scale solar development and acquisitions throughout North America. At K Road, Ben was responsible for financial modeling, supporting the evaluation of acquisition opportunities, as well as developing transaction structures. Ben graduated with a Bachelor of Business Administration degree with concentrations in Finance and Economics from the University of Massachusetts Isenberg School of Management. Based in the firm’s New York office, Christopher is a member of the asset management team and he is primarily responsible for the supervision of construction projects and asset management. Christopher joined Axium Infrastructure in 2018 and he has over 20 years of experience in the energy sector. Prior to joining Axium, Christopher worked successively as projects general manager and executive director for the previous owners of Brooklyn Navy Yard Cogeneration Partners. This included overall responsibility for all aspects of the operations and maintenance of a 286 MW combined-cycle plant located in the Brooklyn Navy Yard. Christopher also worked for Trigen Nassau Energy, which owned a 50 MW combined-cycle plant in Garden City, New York. Within that assignment he was responsible for marketing cogeneration and outsourcing of boilers and chillers for large industrial and commercial customers. Before Trigen, Christopher worked in different capacities at the Long Island Lighting Company (now part of National Grid), always focused on independent power projects. Christopher has an MBA from Saint John’s University and a Bachelor of Science in Electrical Engineering from Manhattan College. Based in the firm’s New York office, Brian is a member of the investment team and he is primarily responsible for supporting transaction due diligence and execution, with a focus on financial modeling, project valuation and analytics, as well as asset valuation. Prior to joining Axium Infrastructure in 2014, Brian worked three years at GE Energy Financial Services where he was primarily responsible for financial modeling, market research, transaction execution, and portfolio management on debt and equity investments in both domestic and international power projects. Brian graduated from the University of Kansas with a degree in Mechanical Engineering.